With established and corporatized sites like Zillow and Trulia being benchmarks of an already established model, there is already plenty of room for another generation of real estate services centered around more accurate and robust property data to fill in the gaps of the home-buying experience. After all, approximately 5 million homes are purchased each year in the US, yet the industry at large continues to rely on the same traditional offline methods of resources and information when making the largest purchase of our lives. Estated, for example, takes advantage of this evolution by offering what other sites can’t offer. 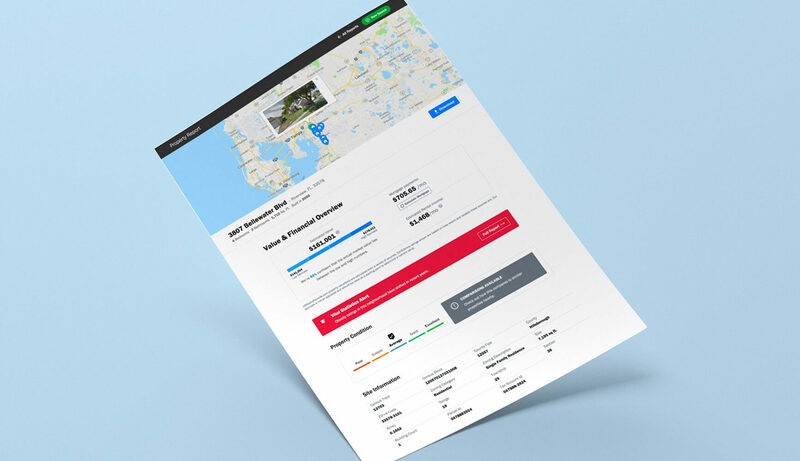 We’ve aggregated the most accurate and up to date data and have presented it in the most streamlined way possible to make for the ultimate aid to the homebuying process. We have been collecting public, private, local, online, and offline data for the last 10 months and have leveraged it all into a significantly stronger report. There are 125,000,000 homes consumers can access from our database that was previous siloed. We’ve unlocked vital information regarding your current, future, or previous property. Not only can consumers now look at 10x more properties, they can make 10x better decisions when it comes to the largest purchase of their life. The increasingly popular step of viewing property reports and it’s place in the home-buying process points to a completely changed process altogether. There has never been this level of public access to property records, area data, demographic statistics and market trends available in free and accessible formats. This is important because a homebuyer can be completely in charge of their own home-buying timeline. They can avoid rushed decisions, escape conclusions and details left out or inflated by a realtor, and ultimately make the most educated decision when making the biggest purchase of their life with a sense of knowledge and confidence even if they knew little or nothing about the home buying process and real estate industry prior to ever participating in it. Property reports have the ability to keep buyers engaged and knowledgeable about their preferred properties and allow them to learn the trends and happenings of the current market at their own pace. This level of due diligence and assessment was completely unheard of prior to the productization of property reports and similar technology products. Through the use of visualized, abbreviated and simplified market data included in most property reports, homebuyers are able to make more informed decisions regarding their investment based on data that outlines what market trends have been prevalent in the past as well as forecasting what trends are likely to take place in the future. Homebuyers no longer have to rely on a third-party for information on the market.